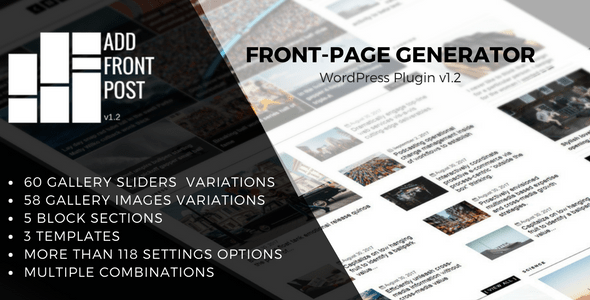 Add Front Post is a WordPress plugin generating front-pages. Through widgets and settings panels, you build your website the way you want, displaying your posts in an elegant and professional way. WordPress by default provides posts page, and Add Front Posts plugin provides the ability to create front-page in an easy and intuitive way. There are several possible combinations, feel free to use your imagination!